I DJ'd my last wedding of the year yesterday. My partner, Bengi, and I launched this business 20 years ago in September of 1997 with our very first wedding. We worked for free and received a $200 tip at the end of the night. The next year were booked 25 weddings, and we never looked back. For more than a decade, we worked almost every weekend of the wedding season, booking more than 40 weddings a year. For the past few years, we've been easing into retirement, We raised our prices, stopped promoting the business, and took down our website. Today we only work for people we know and venues we like. We DJ'd just five weddings this year. I married three couples. Last night's wedding was tough. Outdoors in 90 degree heat and humidity. Two hours into the wedding, it started to rain, forcing us to move our equipment under a tent. What normally takes about 45 minutes to set up was moved and ready to go in less than 10 minutes. The maid of honor, a professional musician, played guitar and sang the first dance song, requiring a second set of equipment be set up. There were bugs and ticks. Unloading the equipment at the end of the night left me exhausted and breathless. But the bride and groom had a great time. Their friends and family had a great time. Events went off without a hitch. We played their favorite songs and ensured that it was a night to remember. We have one wedding booked for next year. We'll probably book a couple more. It's not as if these weddings are putting food on the table anymore, and if I'm honest, I could make more money speaking or teaching workshops or storytelling. Inclement weather. Equipment failure. Drunk uncles. Medical emergencies. Wardrobe malfunctions. Angry in-laws. Bickering brides and grooms. We've seen it all. When people think of hiring a DJ for their wedding, they are often thinking of the music, but the music is the easy part. Anyone can play music reasonably well. It's everything else that we do that makes the difference. 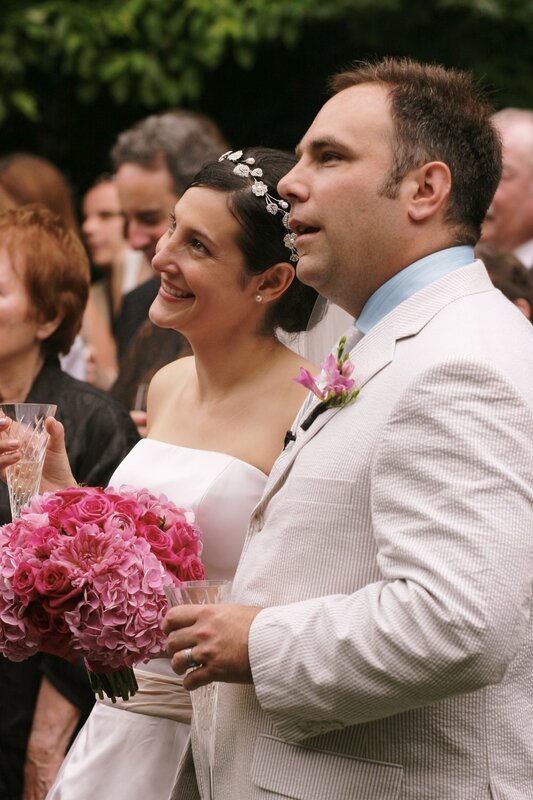 It would be easy to call it quits after 20 years and almost 500 weddings. We haven't. Not yet, at least, mostly because despite the heavy equipment and long hours on our feet and surrendered Saturdays, watching couples get married, dance, laugh, and celebrate renews my spirit. It bolsters my belief in the institution of marriage. It reminds me of my wedding and all of the beauty and love that filled that perfect day. I play Elysha and my first dance song at every wedding. I slip it in during dinner, and then I find a spot in the room where I can stand alone, listen, and think about our wedding day. My DJ career is coming to an end. Next year might be our last. But if it continued on for the next 20 years, a wedding here and there, I don't think I'd mind. The honor of making someone's wedding day perfect is one I respect and enjoy, and the renewal of spirit that I experience watching couples dance and smile and laugh is worth all the trouble.